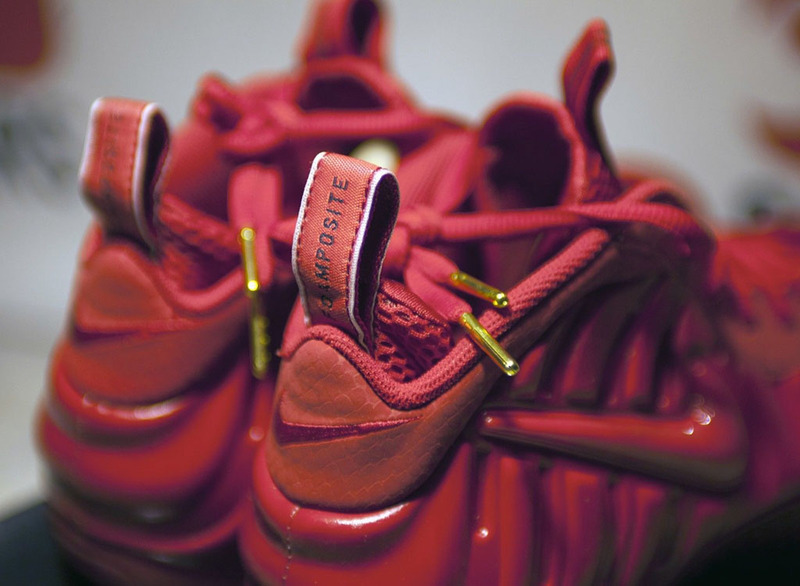 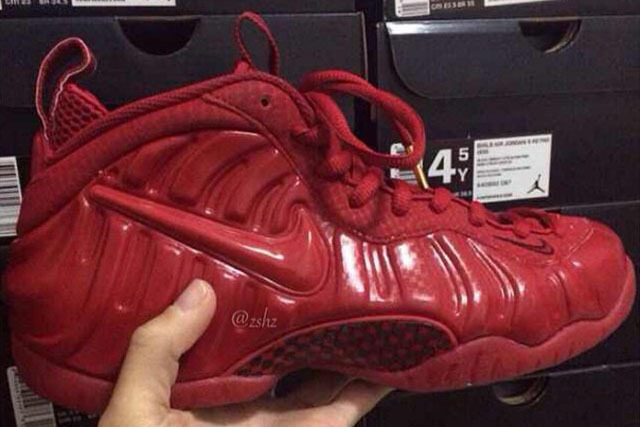 Another 'Yeezy' Foamposite on deck. 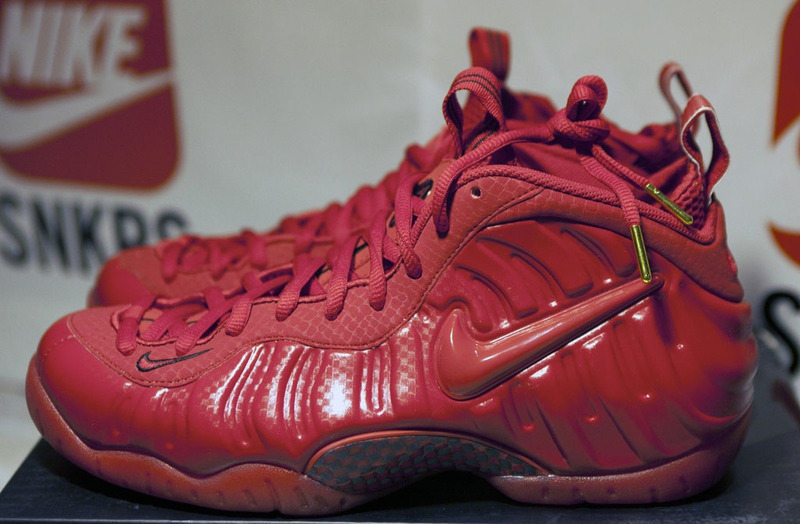 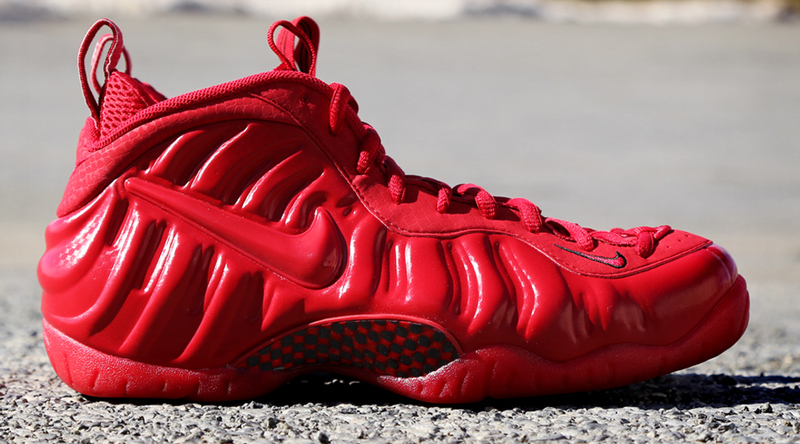 The latest Nike shoe to get the all-red treatment is the Swoosh-branded Nike Air Foamposite Pro. 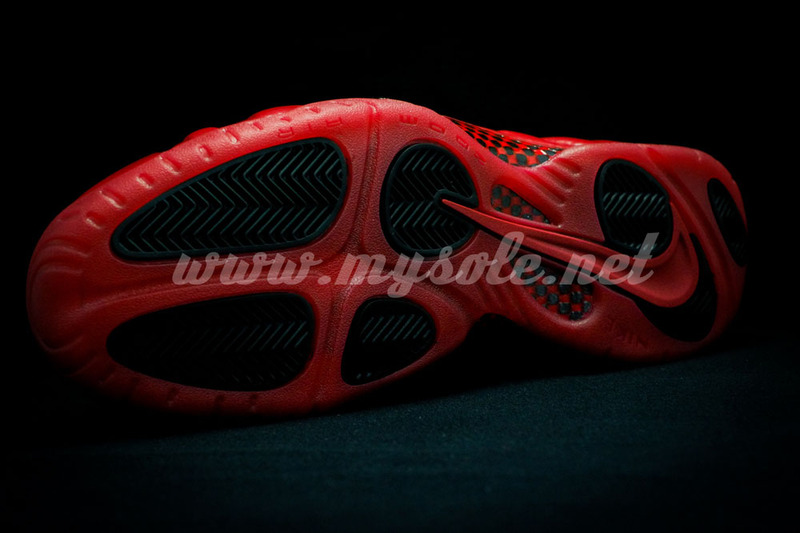 Previewed here, the upcoming release features a glossy gym red shell with a faint carbon fiber print throughout. 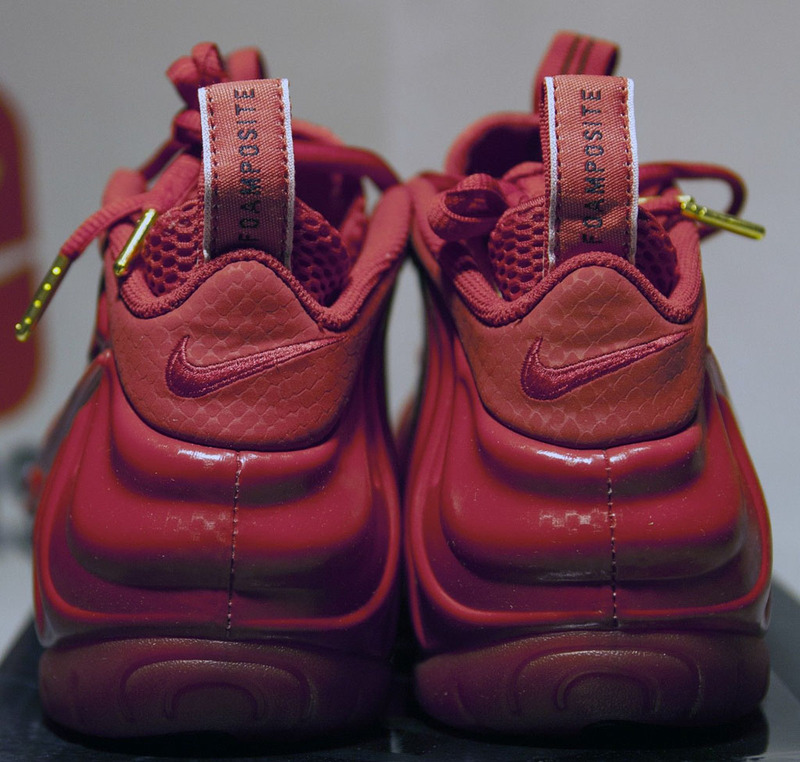 The laces, collar, interior and sole are also styled in red, with black offering minimal contrast on the tongue, forefoot Swoosh, pull-tabs, carbon fiber shank and tread. 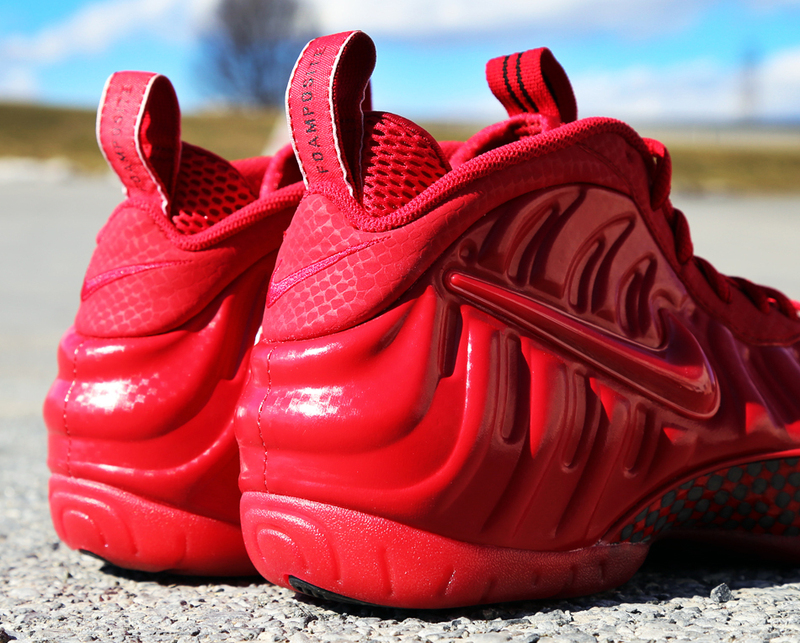 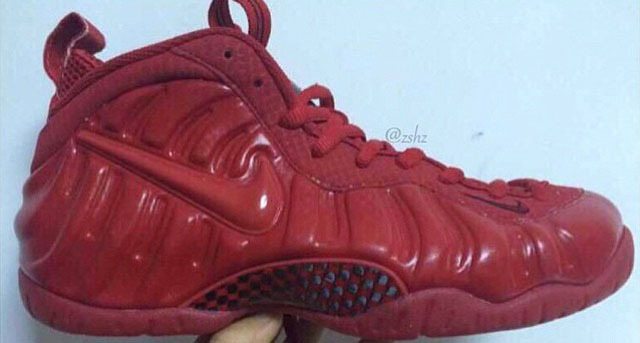 The 'Red October' Air Foamposite Pro is slated to release Saturday, Apr. 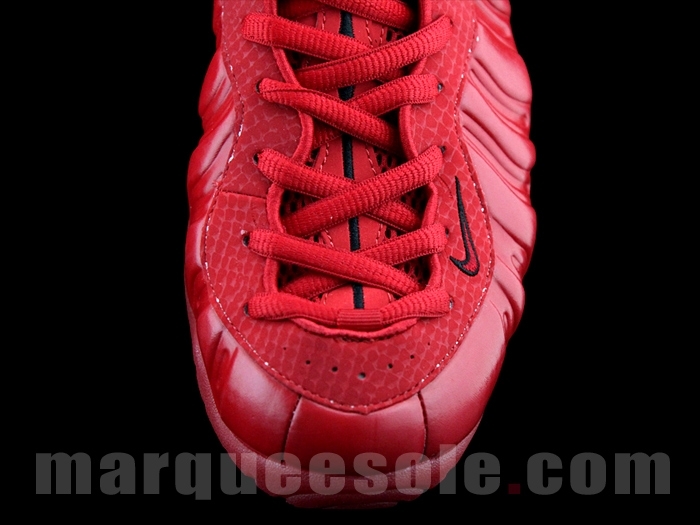 11 for $230. 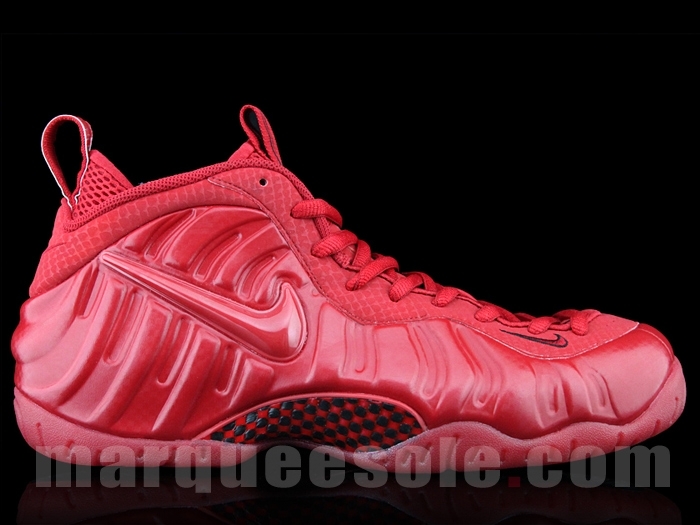 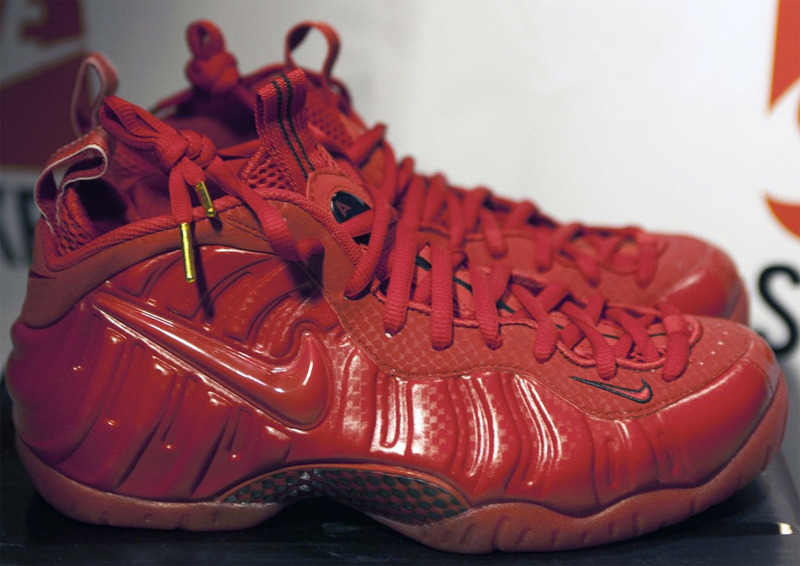 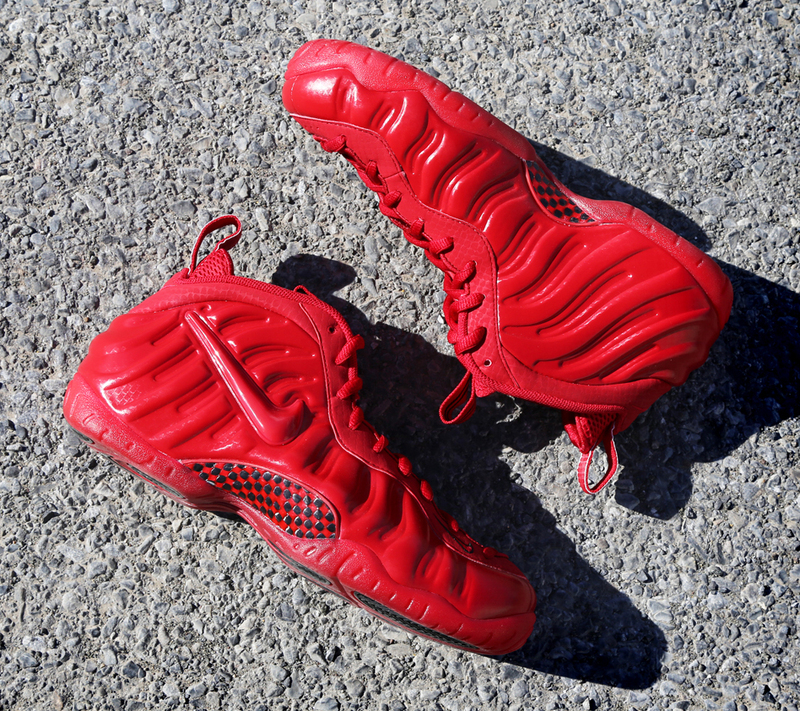 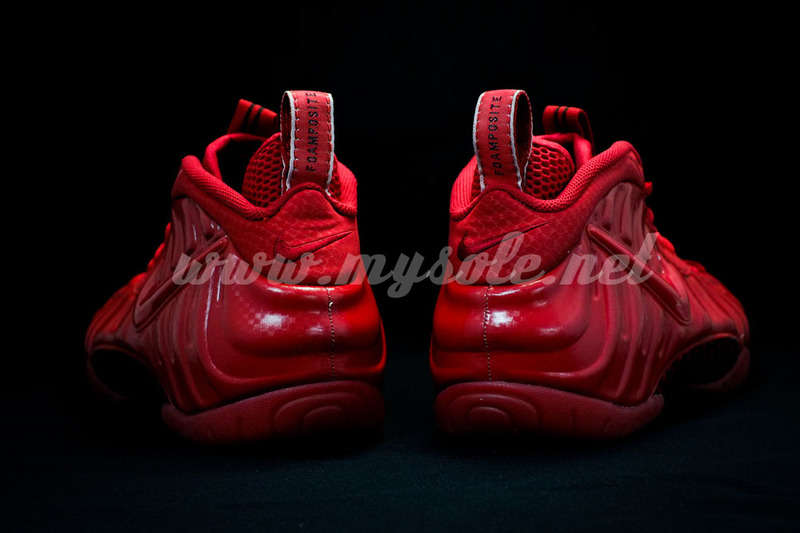 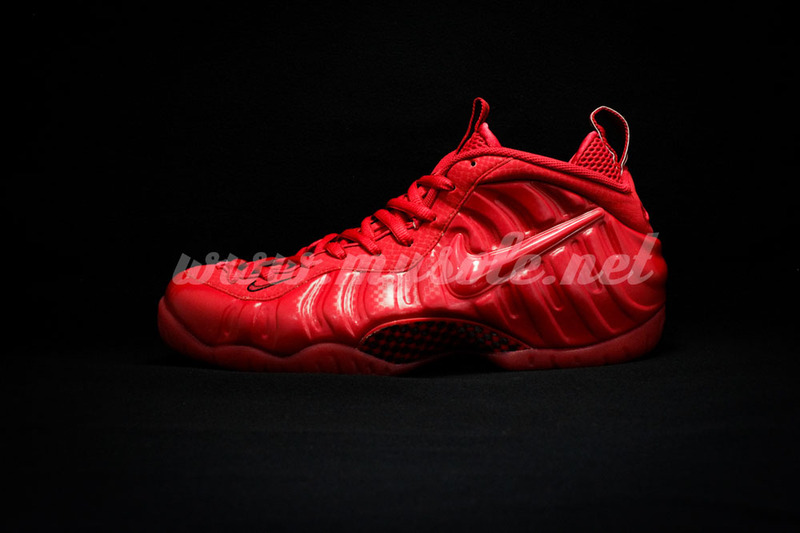 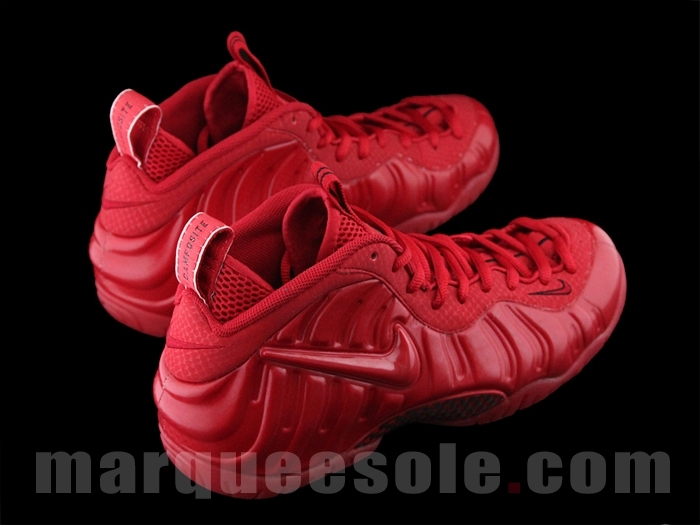 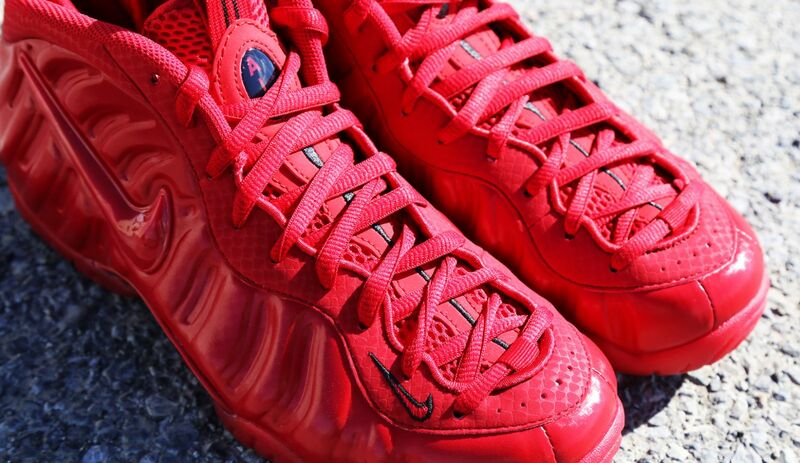 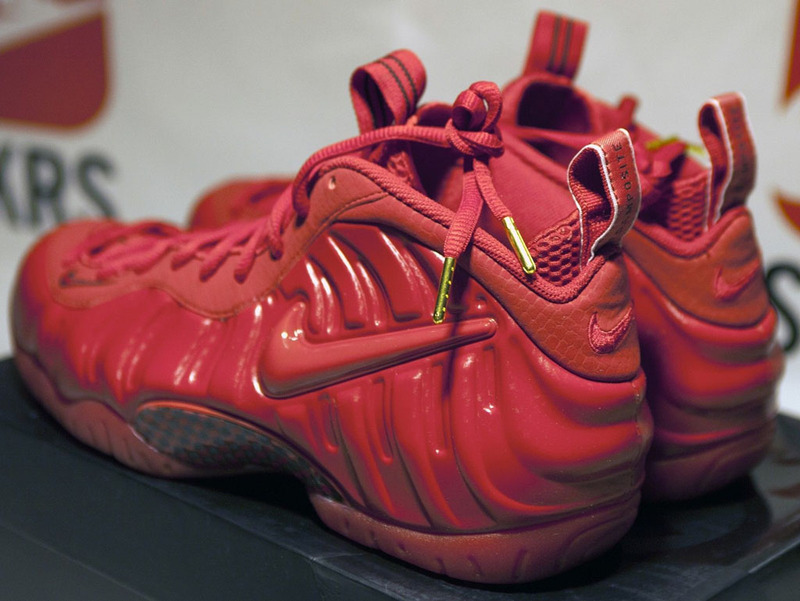 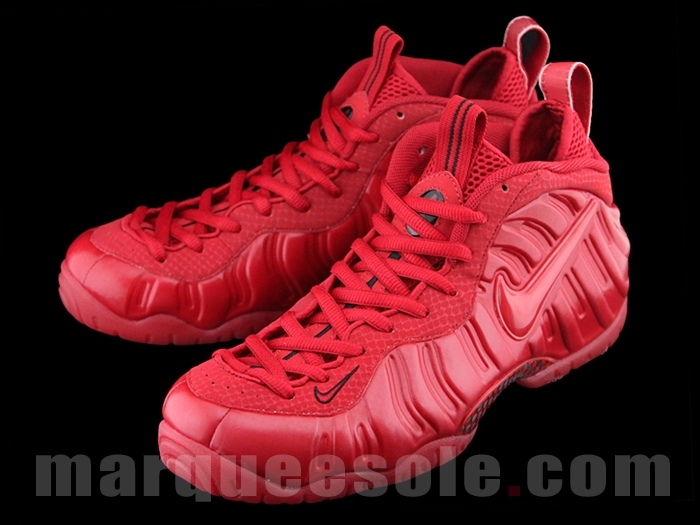 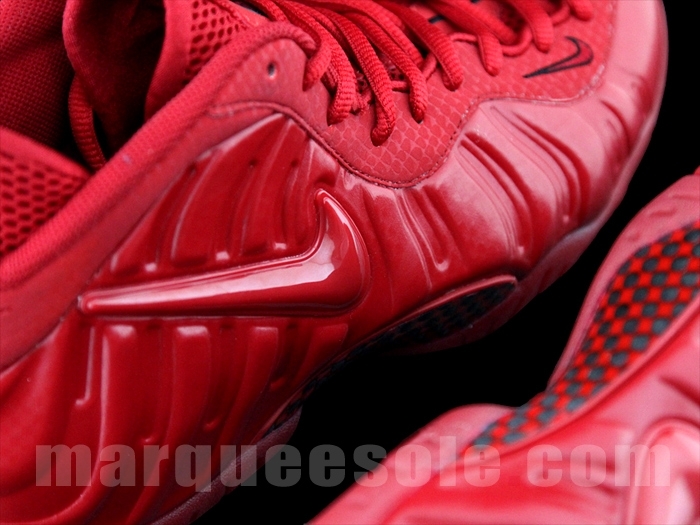 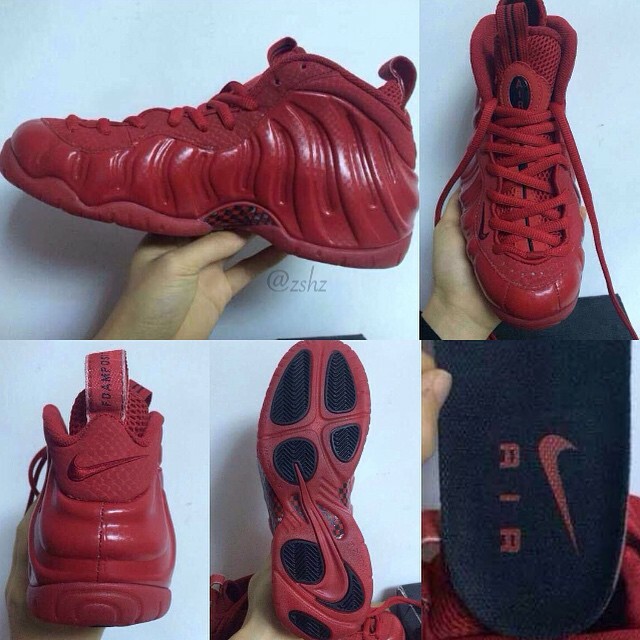 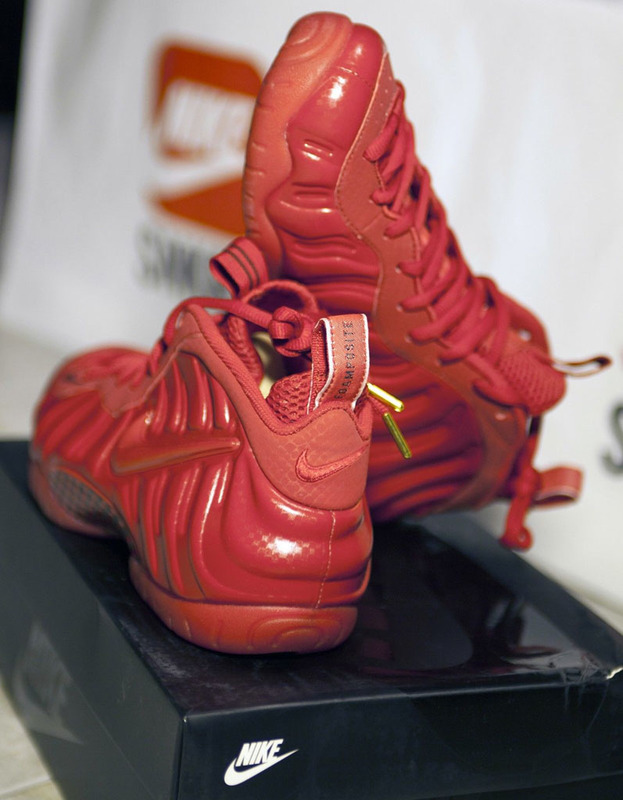 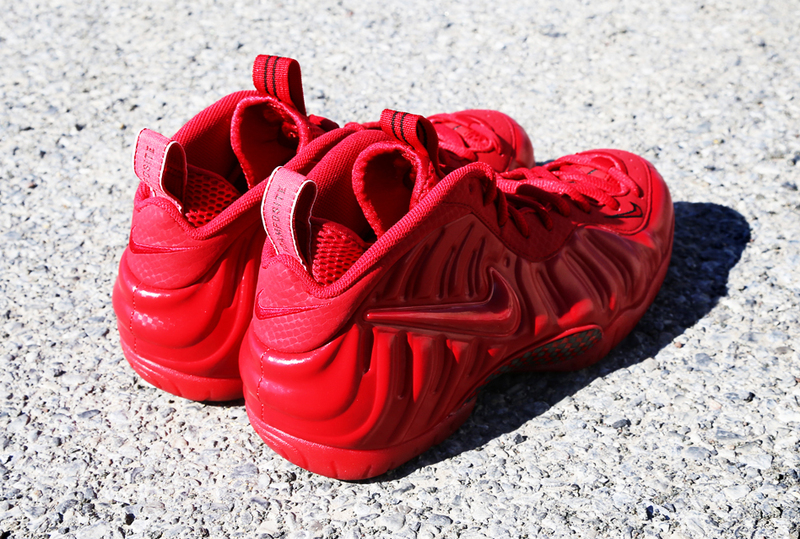 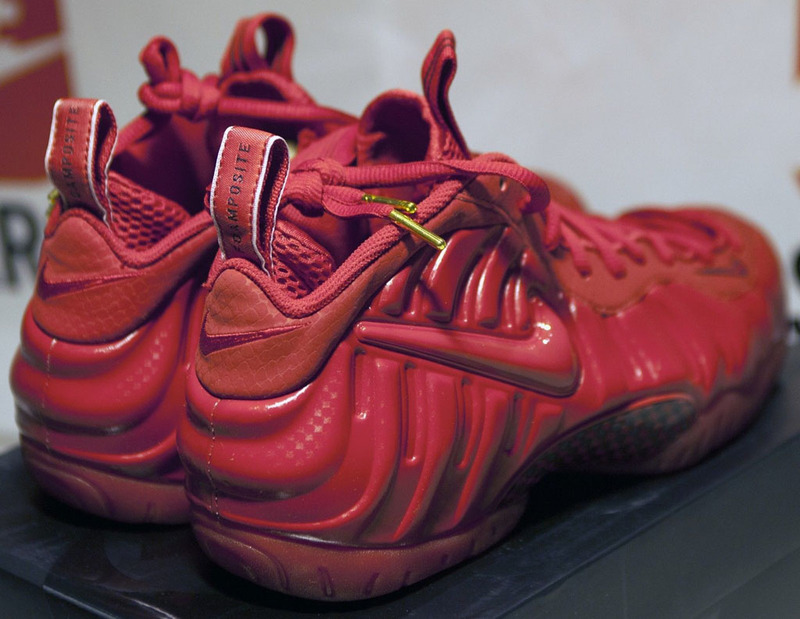 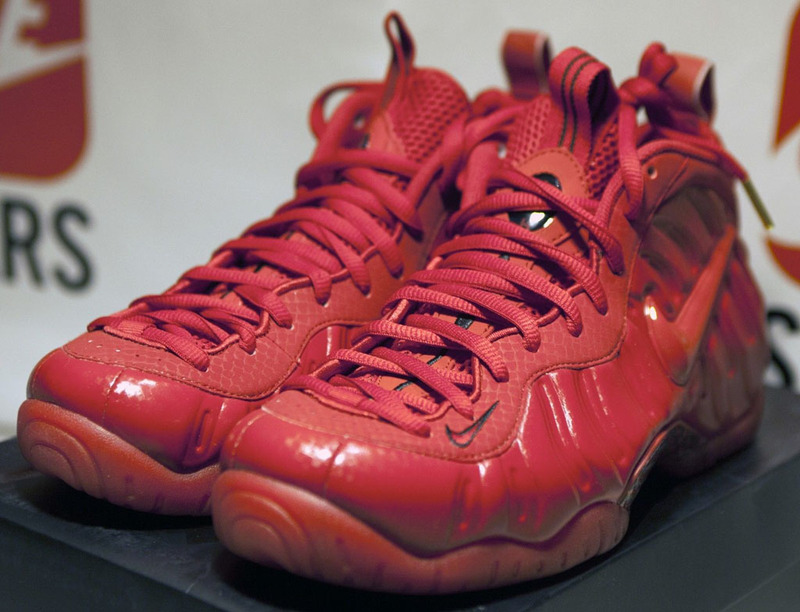 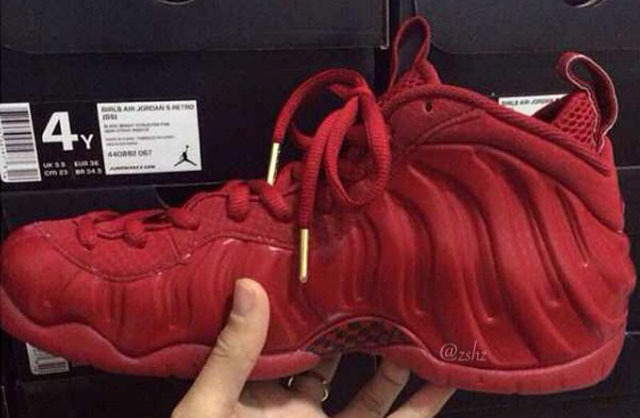 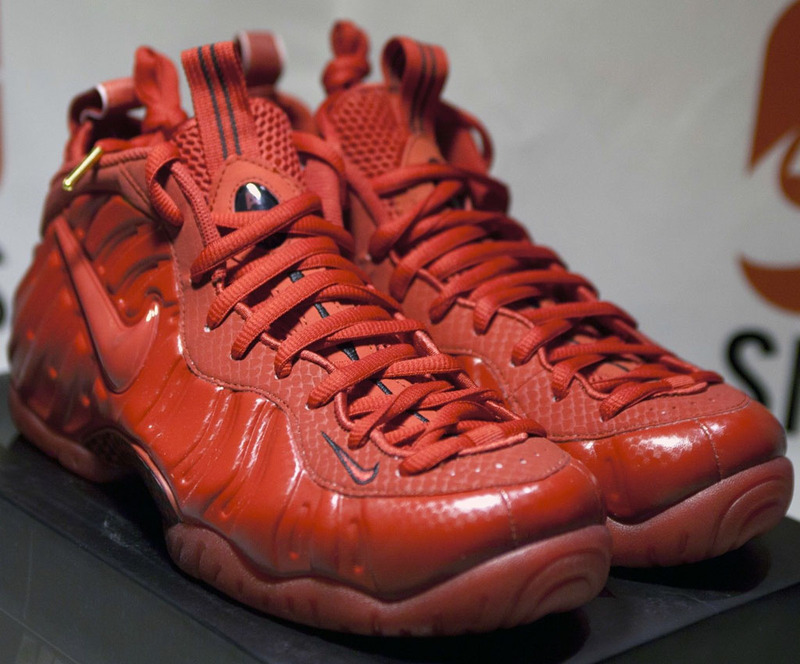 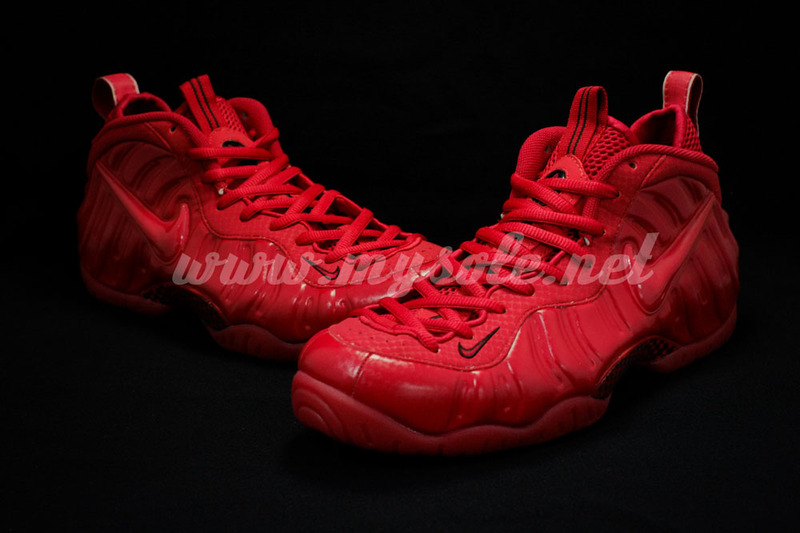 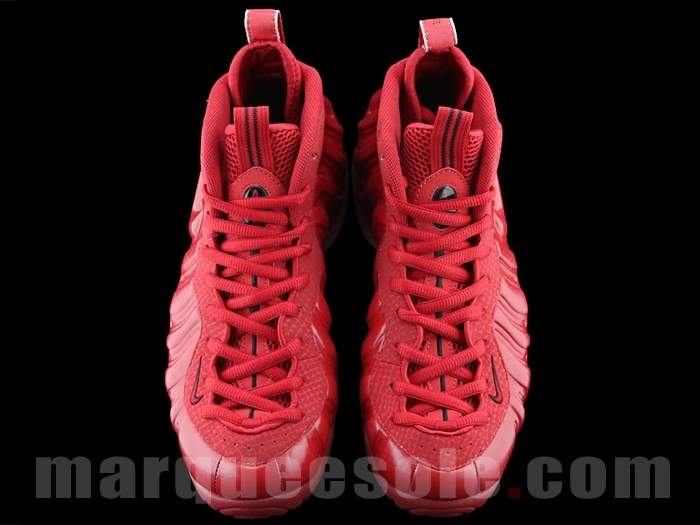 UPDATE 4/3: New images of the red Foamposites via Villa. 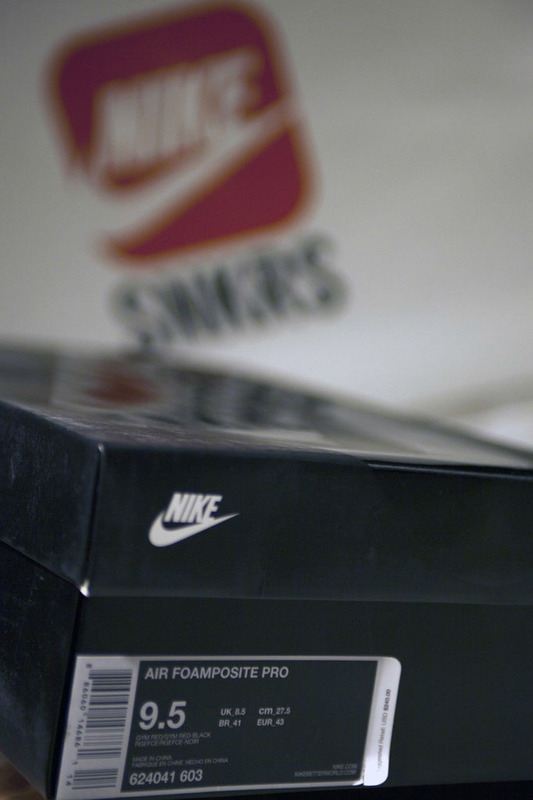 UPDATE 3/22: New images via su4c. 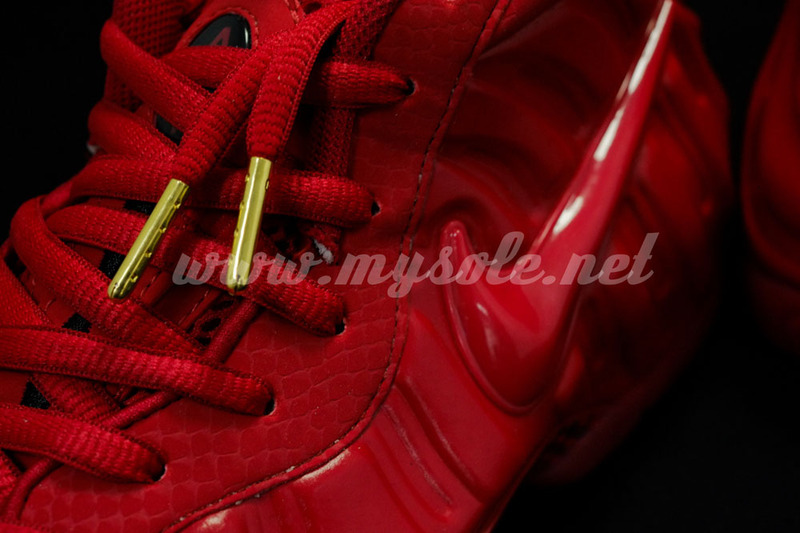 UPDATE 1/19: New detailed images via MySole.